This is one of our favorite after work out treats, which Henry grew up with in Colombia. These are very easy to make, but require a few steps that you cannot skip or mess up. 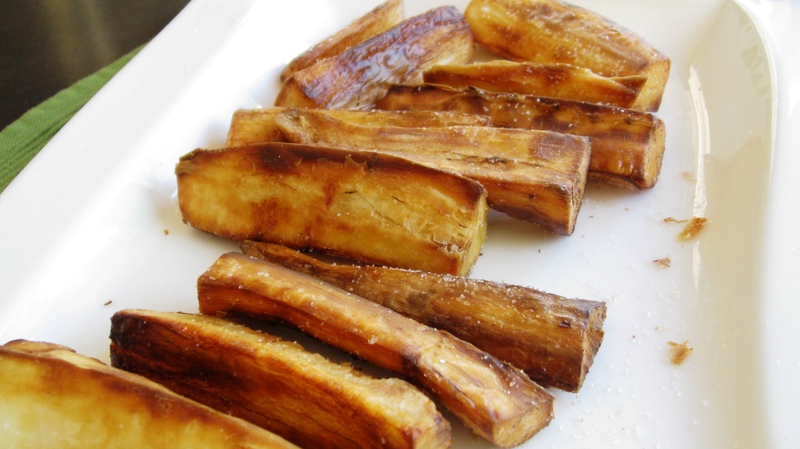 Note: Cassava must be cooked properly to detoxify it before it is eaten. If you soft boil the root, then you can replace boiled potatoes in several applications, such as pureeing it, boiled with a little sea salt, in stews, just to name a few and of course deep fried as our dish calls for today. 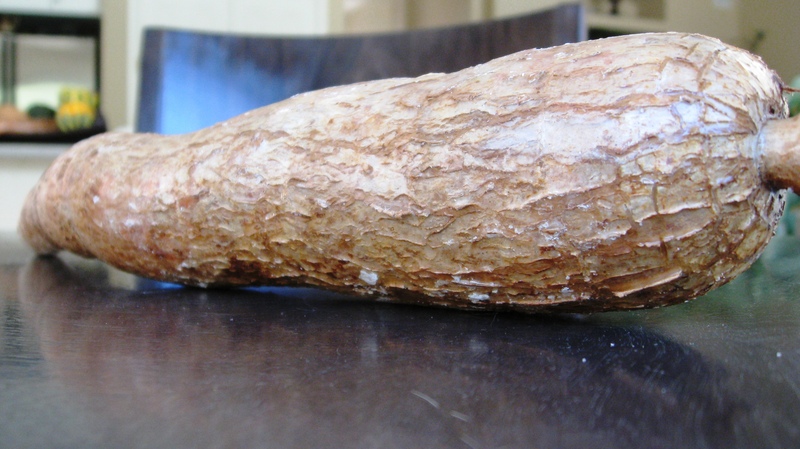 Buy a Cassava root that is not soft, but rather hard and perfect. Make sure that it’s not soggy or broken in any way. The best way to keep it fresh is to keep it in the fridge for a day or two if you are not planning on making it the same day that you’ve purchased it. Peel the root and chop into your desired chunks, we simply cut the root in half and then quarter it. Boil the root in salted water until the root is tender and can be stabbed with a fork all the way through. Dry the root and set aside until cool. Now cut the roots into your desired fries and fry them for a minute or two on each side in Coconut oil until lightly golden brown, lift out and place on a paper towel, sprinkle with a little sea salt and enjoy with some guacamole or awesome chimichurri. If I place it’s called Balung Kethek. It was unique and delicious and is perfect as a snack friend for coffee.